Abu Dhabi will not renew their Citroen sponsorship, thus appearing to doom WRC hopes for Sebastien Loeb, while Mads Ostberg has announced that without the possibility of a third Citroen team entry, his last option for a WRC contract in 2019 has disappeared. Citroen had already announced that they plan to run Sebastien Ogier and Esapeka Lappi, and now confirm that they plan to limit their 2019 WRC activities to a two-car team. Citroen team principal, Pierre Budar, said Abu Dhabi “had decided to take a break to take stock of their commitments”. 31-year old Norwegian, Mads Ostberg started the 2018 season with the promise of one single rally and ended with eight events, at the end of which he was the team’s highest scoring driver, despite missing five rounds. Winner of Rally of Portugal 2012, he has entered 119 WRC events, gaining 18 podium results. He had been an official Citroen driver in three seasons (2014, 2015 and 2018), finishing top WRC scoring driver on each occasion, also in 2016 as a M-Sport driver. “I am really sorry and disappointed right now. I felt at home in the team and happy about the way we worked together. I am far from finished with rally driving, I feel that I have never been so good,” Ostberg says. 2018 had been a difficult year as the C3 WRC showed highly sensitive handling on changeable surfaces. While M-Sport have yet to announce their 2019 WRC plans, Hyundai Motorsport is also due to announce the plans for Hayden Paddon and Dani Sordo. When details are released for the new WRC2 Pro series, expected at this month’s World Motor Sport Council, it will be a chance to know whether this series will help unlock the driver gridlock in the WRC. 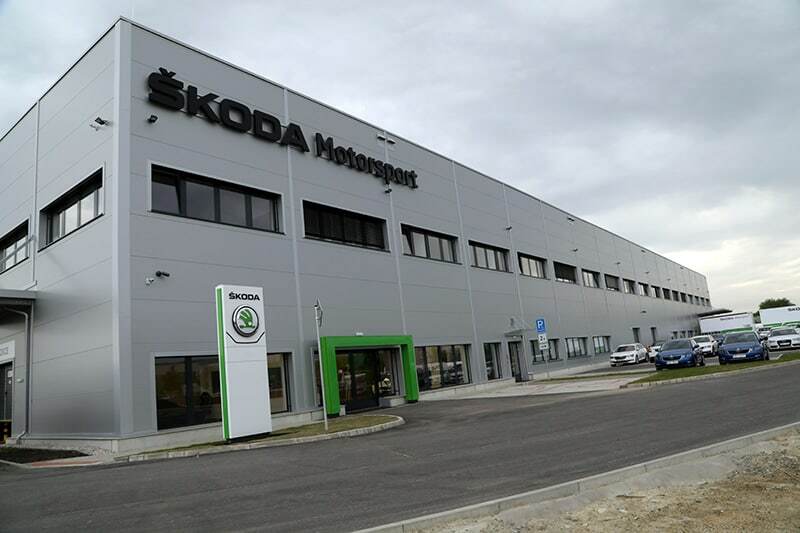 Skoda Motorsport’s annual press conference in Mlada Boleslav last week saw the proud presentation of the team’s new headquarters, but left many details of their plans for 2019 unanswered. The main news to be confirmed was a reduction in the number official drivers, with the announcement that Pontus Tidemand was no longer in the team, along with (as expected) Ole Christian Veiby. The team drivers for 2019 will therefore be 36-year old Jan Kopecky and 18-year old Kalle Rovanpera. The new version Skoda Fabia R5 was also presented, but the team confirmed the specification of the car was not yet settled. British drivers (Matthew Robinson, Roger Chilman and Simon Tysoe) took the first three places in North Island New Zealand’s eight-day historic Silver Fern Rally, and Ford Escorts took nine of the top 10 places. Xavi Pons scored his sixth outright Spanish gravel championship rally victory at the Rallye Tierra de Madrid , the final round of the series, in his Fabia R5. He was already the unbeatable champion this year.